Pokémon Go, Nintendo’s newest digital game, brought the company $7.5 billion just two days after it was pushed live. You’ve probably already noticed the large numbers of people in South Florida playing the game if you have seen someone holding a cellphone with their arms stretched out in front of them. 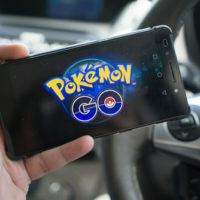 Unfortunately, the rise of the game’s popularity has also contributed to a higher number of distracted driving and distracted walking events. Some states have already pushed for campaigns that would raise awareness of the dangers of playing a digital game like this while operating a car. If you have already been hurt in an accident, a Daytona Beach injury attorney can help you. Several odd news stories emerged after the game was launched, including situations where one player found a dead body instead of a game character, situations in which a player was robbed when brought to a particular location ostensibly to retrieve a Pokémon and multiple situations in which players have run into walls. This is just the latest in a number of news stories that points out the trend for people to be driving or walking while looking down at their phones. In fact, this spurred the development of an application in New York City that buzzes and flashes eyeballs on a phone screen as a pedestrian approaches one of the many crosswalks in the big apple. A driver in New York already slammed into a tree with his vehicle after playing Pokémon Go in the car. Whether you’re on foot or in the car, play these games safely. Not paying attention to your surroundings could put you and others at risk. It’s not worth getting into an accident and being critically injured just to play a game. The game is perfectly fine to enjoy if you’re avoiding dangerous intersections and busy areas, but you’ve got to always be aware of safety. A game can turn into a dangerous accident in just a few seconds. There’s nothing wrong with having fun, but make sure you don’t take it too far. Anytime that you’re using your phone while trying to operate a vehicle, you put yourself and others at risk. According to Distraction.gov, more than 660,000 individuals are using their phones behind the wheel at any given time and up to 10% of all fatal vehicle crashes in the United States involve some type of distracted driving. The Naples Zoo has also expressed concern about the game because the zoo has become a hotspot for Pokémon Go. The zoo issued a release expressing their excitement over being considered a hotspot but also asked that any individuals playing the game respected fences, private areas, behind the scenes areas and boundaries. Is That Really Distracted Driving? There are many myths out there about distracted driving. For example, you might think that you’re only guilty of distracted driving if you’re texting. That’s not true, however. Any activity that requires you to lose focus counts as distracted driving. The typical distracted driving incident results in attention lost from the road for an average of five seconds, which is a long time behind the wheel. Other distracted driving behaviors include eating, putting on makeup or other personal grooming, talking to someone else, or just being lost in thought. Traveling at high speeds, five seconds is a lot of time. It’s just enough time to get into a critical accident that injures you or others. Whether it’s Pokemon Go or another form of distraction, forget about it when you’re driving. Looking away from the road for just a couple of seconds can lead to a critical vehicle accident. If you have already been involved in an accident with someone who appeared to be playing a game or otherwise manipulating their phone behind the wheel, you may have grounds to file a personal injury lawsuit. Individuals injured in vehicle accidents across Florida may struggle with a range of implications for their life, particularly if they have sustained one of the most common injuries associated with car crashes such as a traumatic brain injury. If your medical bill seems to be spiraling out of control and you need help, please consult with an experienced Florida personal injury attorney sooner rather than later.